Taking some time over the Victoria Day weekend to put your veggie garden in the ground? Are you getting your patio planters purchased? 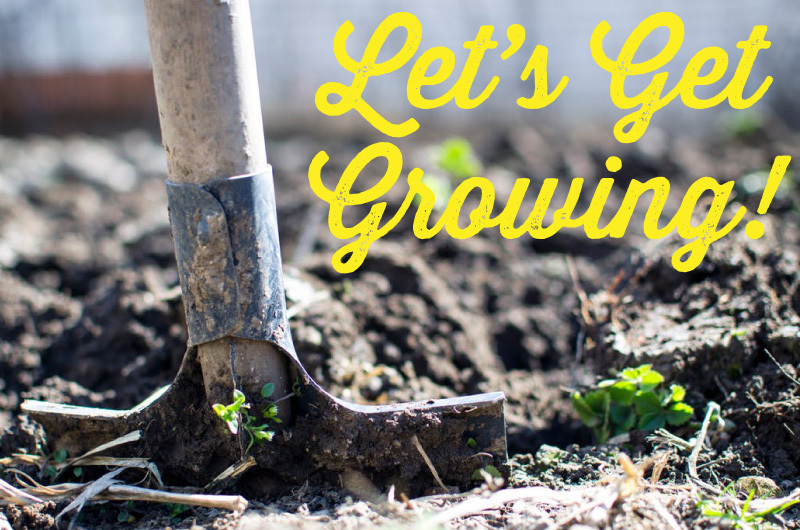 Simcoe County farmers are already working hard and the local growing season is in full swing, so LET’S GET GROWING! Whether you’re filling a backyard plot, borders on your front yard, or pots on your balcony, vendors at the Barrie Farmers’ Market have vegetable transplants, potted herbs, flowers, and perennials for sale to get your garden going. FruitShare Barrie – Do your fruit trees produce more than you can possibly eat? FruitShare Barrie will do the hard work of harvesting your bounty for you and sharing the spoils with those in need. Communities in Bloom – Bring the kids for fun planting activities and find out more about making Barrie beautiful. Barrie Garden Club & Master Gardeners – Find out about their extensive program of speakers and get advice from Master Gardeners on your own planting and gardening issues. Barrie Seed Library – The Barrie Public Library now has a Seed Library at its downtown location. The Seed Library is a community-led initiative that provides people with an opportunity to grow their own, healthy affordable food from seed. Stop by their booth to find out about checking out seeds and harvesting seeds for donation. Growing Georgian – Nothing is more local than the food grown in your own backyard. Find out how Georgian College students are helping each other by supplying fresh veggies to the campus food locker. Simcoe County Greenbelt Coalition – Expanding the greenbelt to include Simcoe County is an important part of ensuring our water, natural heritage and farmland are protected. The Drawing House will be on site offering free drawing lessons for both kids and adults and giving away on-the-spot sketches for free. Local singer-guitarist Jeremiah Hill will also be on hand providing entertainment for the morning.